By opt05 — Last update Jul 28, 2010 — Installed 1,453 times. This script removes all '?ref=' & '#!' 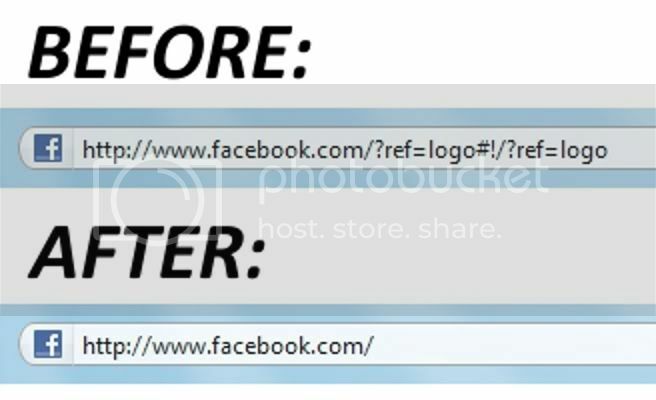 tags Facebook likes to add to its links. After awhile it prevents Facebook from loading things right (error they know about). This script fixes it. Works in Google Chrome too! DELETE VERSION 1.2.1 AND BELOW BEFORE UPDATE!! !